Q: Do you offer refunds or accept returns? A: No. Due to the nature of these kits, I do not accept returns. Research carefully before you purchase. Q: Do you make left-handed necks? A: Yes, I can make a lefty neck for any kit at no extra charge, just specify in the comments upon ordering. Q: Why is my banjo in pieces? What did I get myself into? Q: I ordered my kit 2 days ago, where is it? A: Please be patient and allow up to 7 days to receive your kit. This is a one-man gig and sometimes I have a lot of orders. I try to get every kit shipped out as soon as possible, but during busy times, especially during November and December, it can take longer. Q: What are these kits made from? A: Each kit is made from solid mahogany. The tambourine hoop is made from birch. Q: Why are there dark spots or burn marks on some parts of the neck? Q: My banjo doesn’t play in tune; will you give me a refund? are made from a tested and proven pattern. Please let me know if you have a damaged kit before you put it together and I will help you out. ruined it. Will you give me a free replacement? A: No, but let me know your issues and I may be able to help you fix it. Q: Do you have any other instruments for sale? 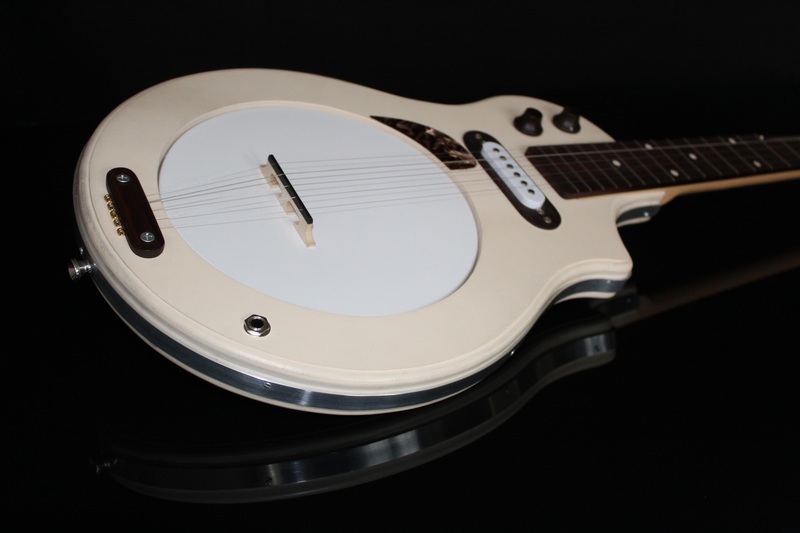 A: I build electric banjos over at Bantronic.com; go check them out.